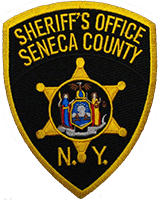 Seneca County Sheriff’s Office reports that on September 3rd, 2018 at about 5:00pm, Deputies arrested Kenya Callier, 32, of 49 Fairbanks St Rochester, NY, and Shabon D Banks, 35, of 312 Golden Rod Lane Rochester, NY for Petit Larceny. It is alleged that the two females stole property from a Town of Junius business. Both females were committed to the Seneca County Correctional Facility for Centralized Arraignment Court.